Sandwiched between the ocean and the Namib Desert, Swakopmund, a coastal town in central Namibia, is one of the most popular places in the country for travellers to visit. The laidback town has charm by the bucketload with its colonial architecture, oceanfront promenades, historical sights, cosy guesthouses, and excellent restaurants and beer houses where you can sample traditional German food and beer. 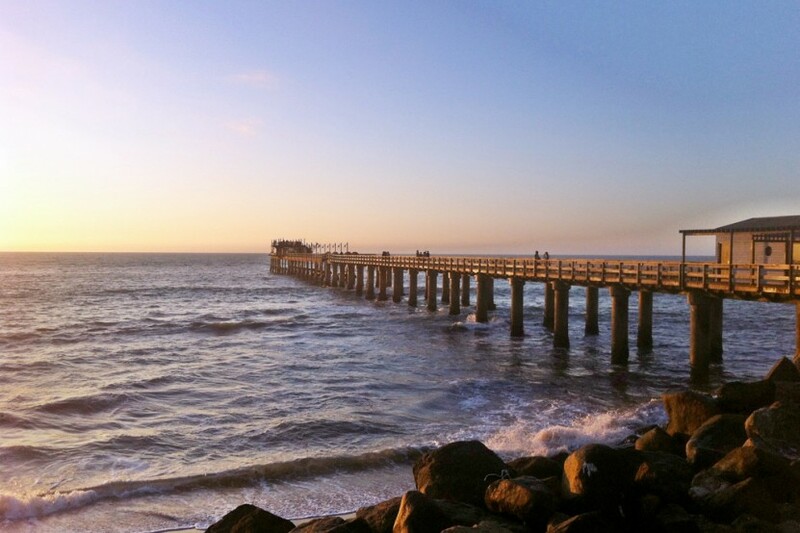 Swakopmund is a perfect base for exploring the coast, from taking boat and kayaking trips from Walvis Bay to spot the abundant marine life of the Atlantic Ocean to going birdwatching at Sandwich Harbour further south. It’s also a centre for adventure activities – it’s easy to fill several days with adrenaline-pumping fun. Take your pick from sandboarding down the huge dunes just outside of town, quad biking in the desert or sky diving. A lovely activity for families is the living desert tour, where you walk in the Namib with a guide teaching you about the fascinating plants and animals that have adapted to the harsh environment, while another family-friendly day trip is the Welwitschia Drive, a short road trip route that takes you through some fascinating places in the Namib-Naukluft National Park, including to the oldest welwitschia plant in the world – an ancient specimen thought to be more than 1500 years old.